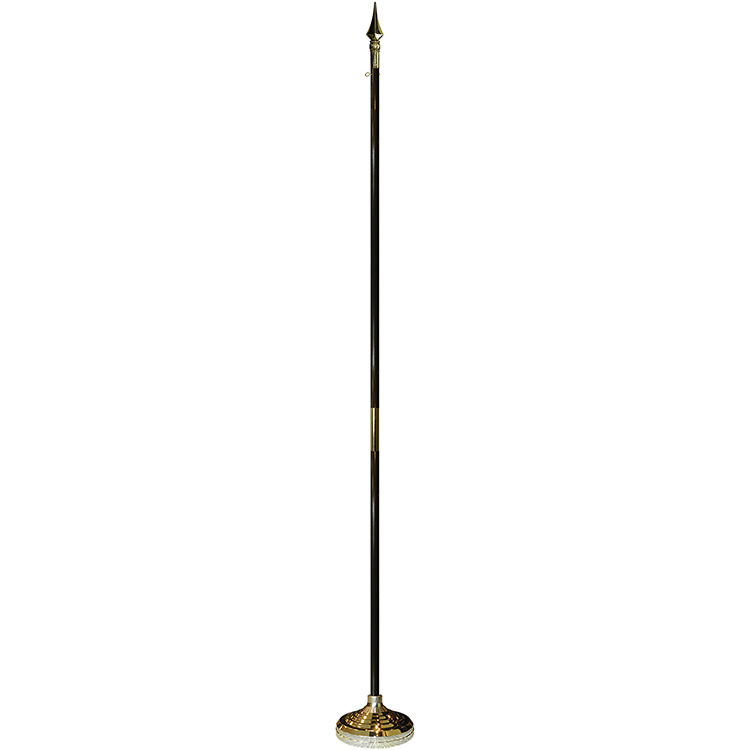 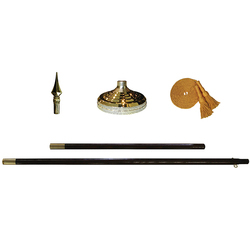 Let your flag stand tall with this 7' oak pole indoor mounting set with a spear top. 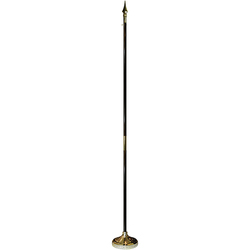 It measures 7' x 1 1/4' and comes with a two piece pole with a beautiful oak finish, 2 lb. gold metallized floor stand, gold spear top and a gold cord with tassels. 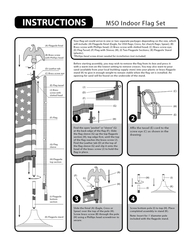 The pole hem and fringe will make your flag stand out in lobbies, waiting rooms, offices and much more. 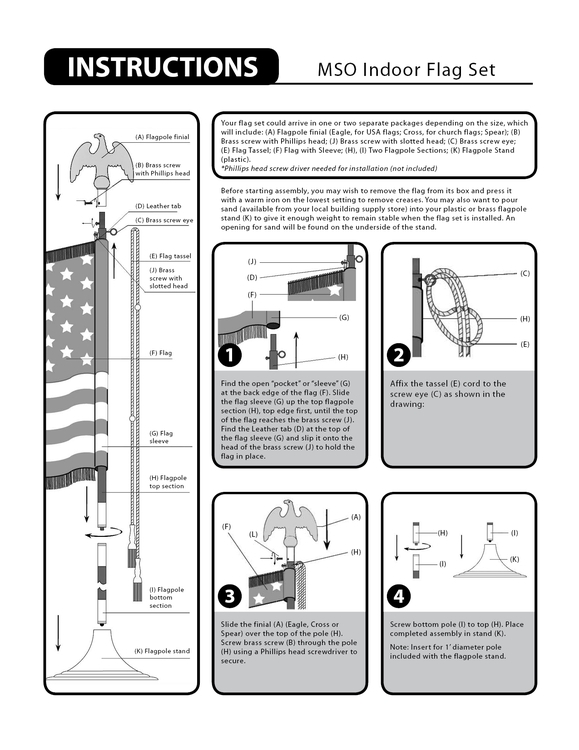 Designed for use with a 3' x 5' flag (not included), this mounting set is sure to make a lasting impression!